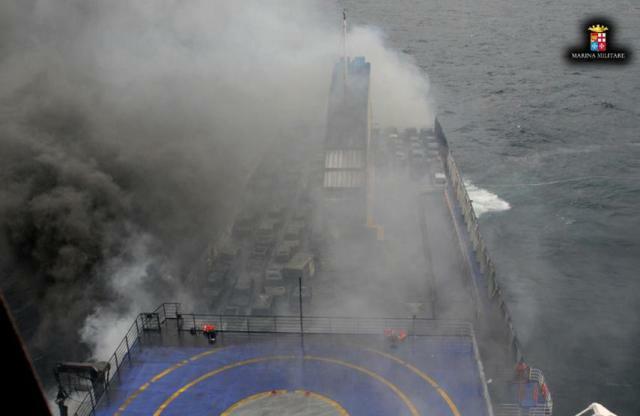 The 186 meter long, 7800 dwt passenger ro-ro ferry Norman Atlantic caught fire in the Adriatic Sea off the coast of Albania. 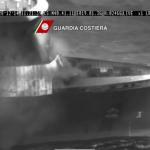 The Norman Atlantic was en route to Ancona, Italy from Patras in difficult sea conditions. 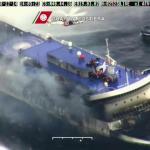 The ferry was dealing with waves reaching 5 meters and winds reaching force 8 making the crossing uncomfortable for the 478 persons, 422 passengers and 56 crew. 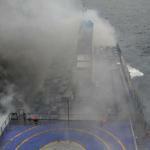 During the early morning hours, the crew was alerted to a fire that had broke out on the lower vehicle decks. The ferry had some 128 trucks among some 200 vehicles. 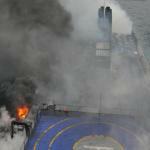 It is believed that one of the trucks had scraped against the vessel causing sparks and ignited the fire. The crew attempted to contain the fire closing the fire doors, but this was unable to stop the flames. 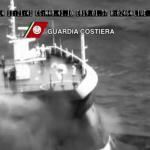 The Norman Atlantic requested assistance with vessels in the area responding to her aid. 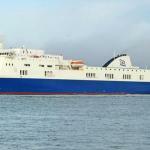 However, the sea conditions prevented transferring passengers off the ferry. 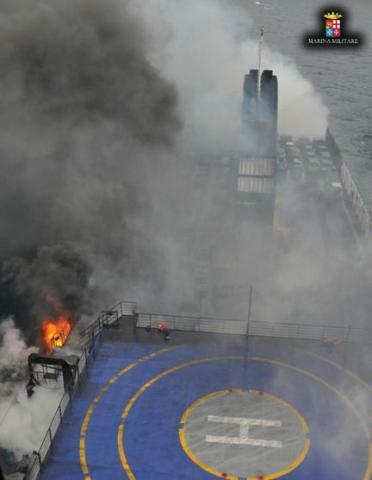 The flames quickly spread through the vessel reaching the upper decks. 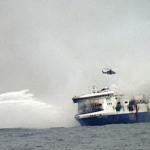 The blaze engulfed the length of the vessel as black smoke forced the 477 persons on board outside. Passengers reported that the deck with lifeboats were hot enough to cause shoes to melt. 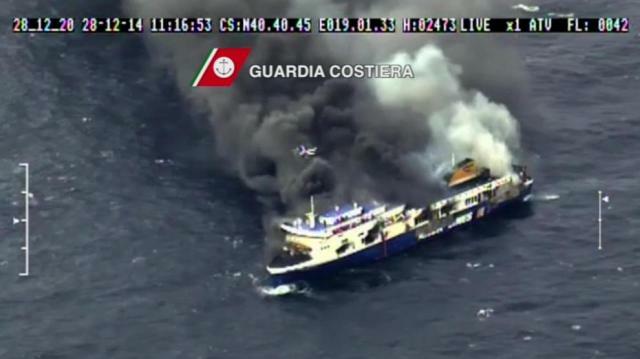 Eventually flames would reach the lifeboats destroying them. 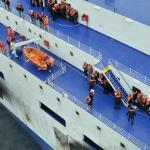 One lifeboat was launched with 40 passengers and later recovered. 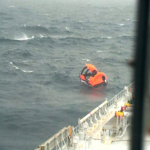 Authorities dispatched rescue vessels, but the sea conditions were extremely difficult. 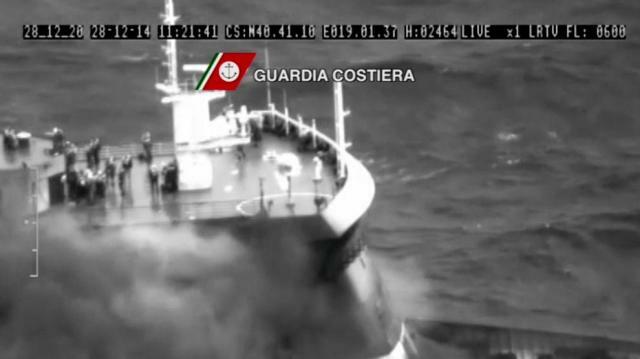 Even with four cargo vessels, multiple Coast Guard patrol boats and Navy vessels responding, rescue efforts focused on helicopters lifting passengers and crew off the vessel. 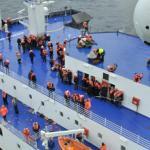 During the following hours some 190 were rescued off the vessel. Authorities stated that rescue efforts would continue throughout the night. Reports state one person perished and another eight persons had suffered injuries. 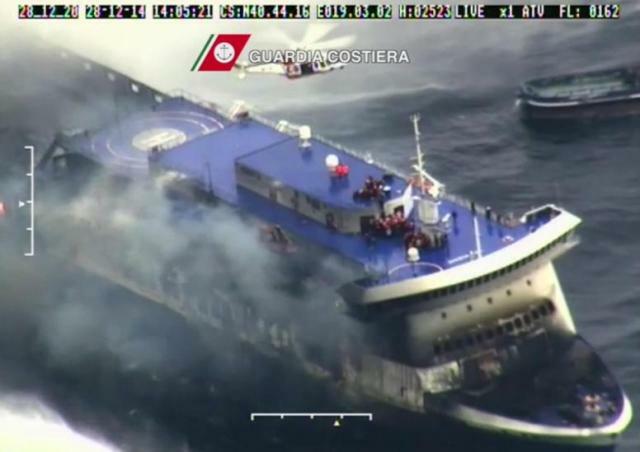 As the fire disabled the Norman Atlantic, tugs were dispatched to take the ferry under tow to Brindisi. Four tugs arrived on scene and began towing operations. 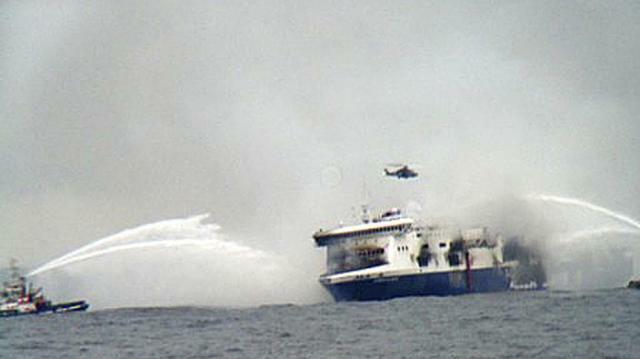 Conflicting reports state that abandon ship order was not given until 4 hours after the fire started. 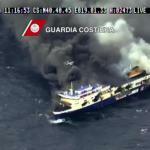 Many passengers state that their cabins had filled with smoke and no alarm had gone off. 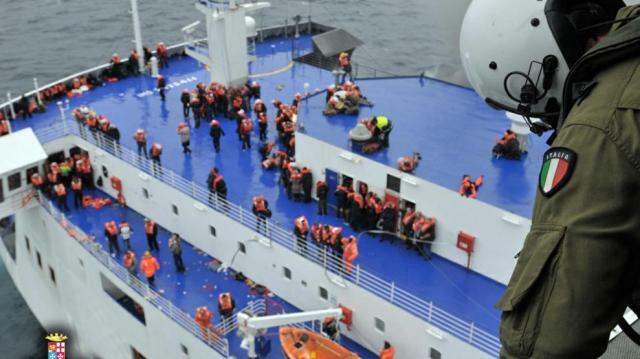 Many made their way to the lifeboats not aided by the crew.